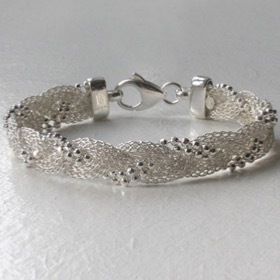 A silver twisted mesh bracelet is a unique knitted construction and looks fabulous in its different forms. 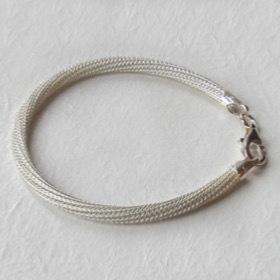 We have 4 different types, each with matching silver mesh necklaces, each beautiful in their own right. 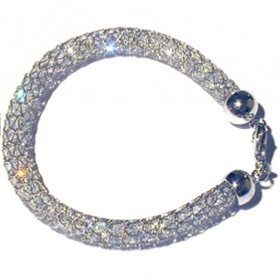 Our crystal mesh bracelet and bangle has Swarovski type crystals knitted into the design so they have a permanent sparkle and glitter with the colours of the rainbow. 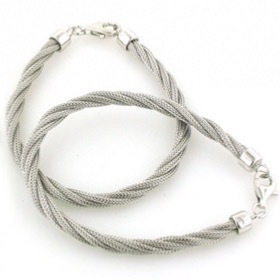 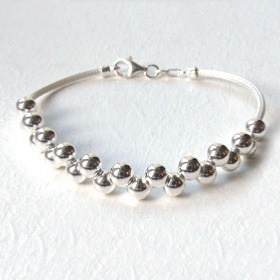 Italian sterling silver ball bracelet with twisted mesh.